PlaceTech | Manchester: The home for AI City? 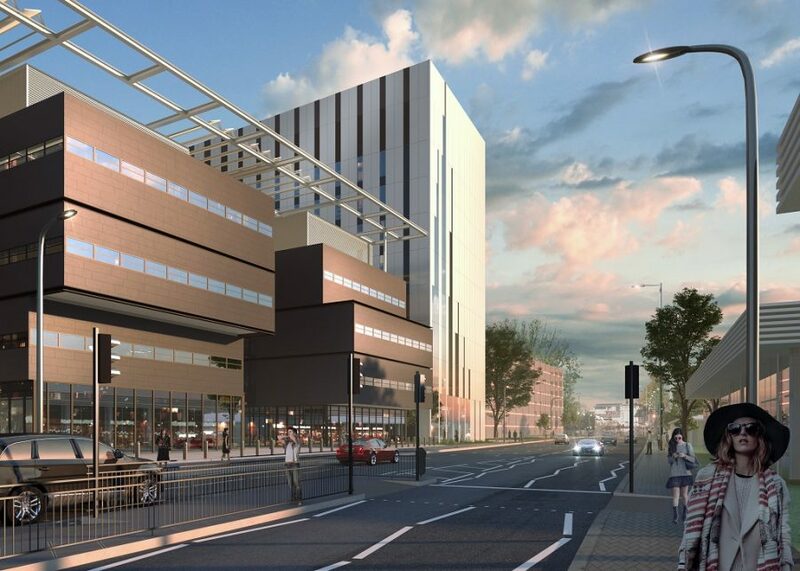 With tech and engineering facilities such as the University of Manchester's Sir Henry Royce Institute in the pipeline, could Manchester be the next hub for artificial intelligence? Manchester was the world’s first industrial city. It is the birthplace of the modern computer, and has the birthright for Graphene. Manchester is a product of the first industrial revolution, home of the third industrial revolution and now marks the time for it to be the focus of the fourth industrial revolution – 4IR. AI technologies are being rolled out in disruptive fashion in the property world. Amazon opened the world’s first cashier-less supermarket, Amazon Go, in Seattle in January of this year, where sensors capture products removed from the shelves and the customer is charged via a smartphone app. Over the next five, ten and 15 years it will increasingly infiltrate all or our lives – in all fields of activity. AI will speed communications, be more prevalent in service and hospitality industries, be wearable and also driveable. The success of AI is dependent on data – lots of it. Setting aside legislative and ethical codes on privacy, structures have to be designed that enable the free flow of data. Government bodies already have access to large amounts of personal data – the AI industry will need access to that, and much more about individuals – including their movements and movement patterns, as well as their needs. From that wealth of data, companies can and will transform the urban environment. According to a report by CityLab, the 2018 Consumers Electronic Show in Las Vegas showcased more smart city tech than it did gaming products and drones. What makes Amazon Go an intriguing concept is the how the digital layer is being used in conjunction with the normal physical layers of development – infrastructure and buildings. Transferring that to an urban area, add the other two layers of the physical world, public realm and mobility requirements – and the result is a digital smart city. That is the blueprint for the experiment taking place in Toronto between the city planners and Google. It is no accident that Toronto is the chosen location for Google to launch its city planning experiment. In nearby Montreal the city houses one of the world’s largest, concentrated research hubs for Ai. The University of Montreal has established itself a world leading centre of research in a wide range of AI technologies, and so has created its own cluster industry housing tech giants including Google and Microsoft, but also through Canadian Government investment. The Canadian model illustrates a way forward for Manchester. The Universities in Manchester lead the way in areas of tech research, and as Manchester was the birthplace of the modern computer, the city has a heritage on which to capitalise. It can plan to be the UK focus for AI research and product development. The University and city are locations of choice for increasing numbers of young people, and they are the bedrock on which to build, experiment and support AI tech in our physical environment. Collaboration between entrepreneurs, the governmental bodies across Manchester, the universities and businesses provide the ingredients for making Manchester an AI City.